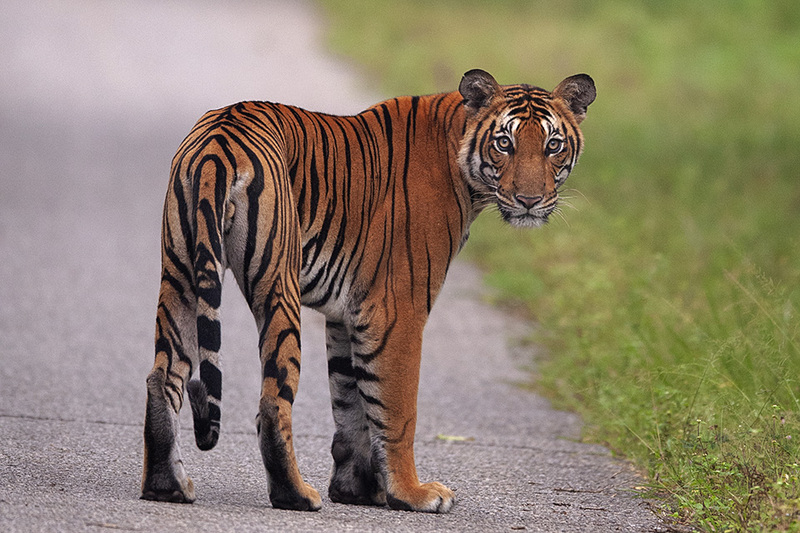 We saw a Tigress, popularly known as the backwaters female, in dying light on the first safari on this trip to the Kabini Tiger Reserve. 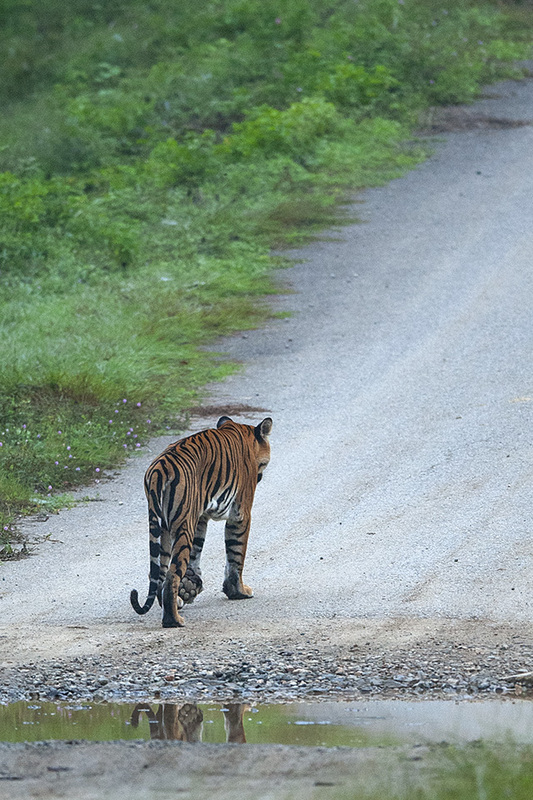 We went on several safaris after that, but did not see a Tiger again. 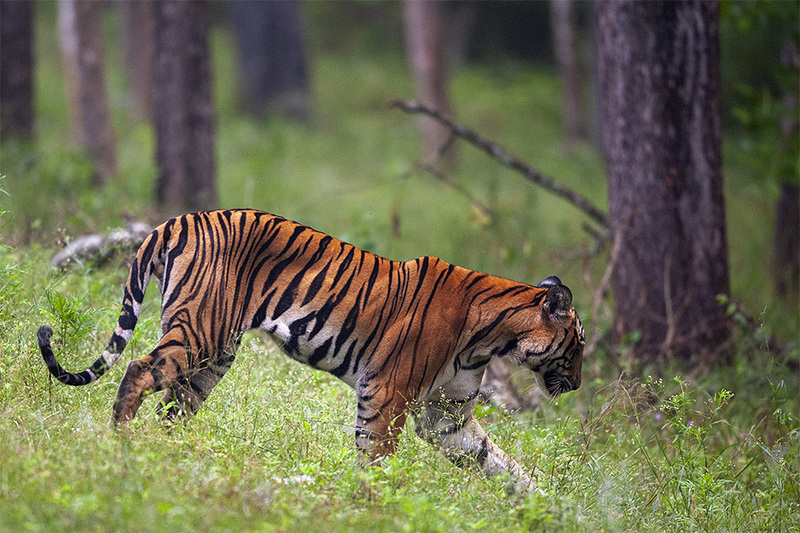 On our final safari of this trip in Kabini, we were hopeful to have a good sighting of a Tiger. The morning mist played tricks with our eyes and as we kept our sight glued ahead on MM road, we spotted him! 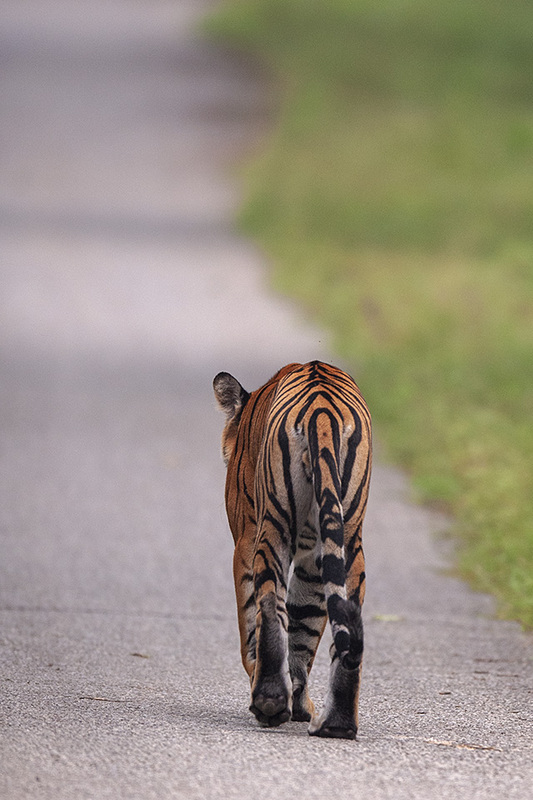 One of the sub adult Tiger cubs was walking along the road in the distance. We took some record shots in case he hurried off into the shrubs nearby. 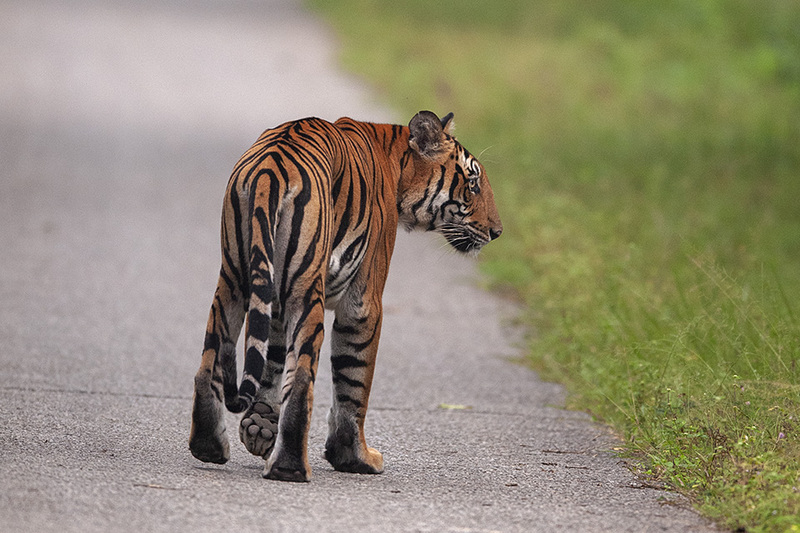 But this Tiger cub was in his own world. It took him a while before he turned around to realise that we were hot on his trail. 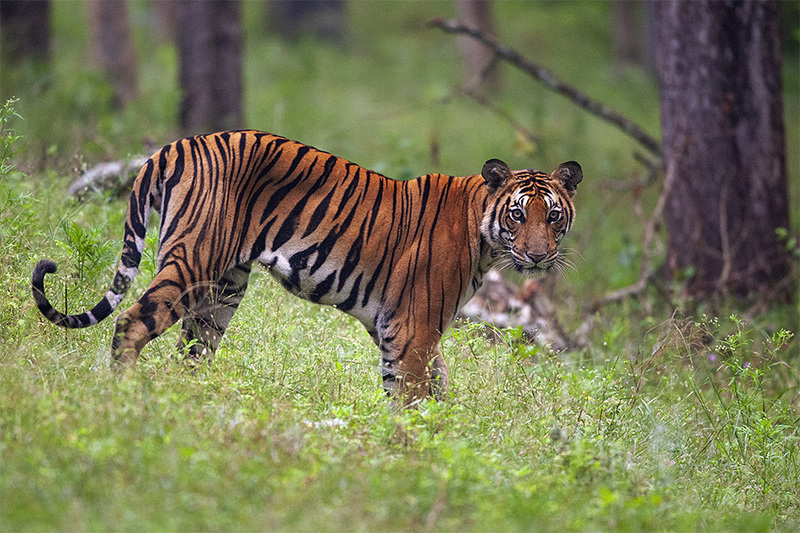 As soon as he realised that, he slipped into the Kabini wilderness; but not before we got a handful of nice portraits.